A lots of space in the house and a fantastic view. Very nice invitation, a lot of presents for us prepared. Very clean and nice villa. Villa très bien située dans la petite résidence avec piscine et très bien équipée. 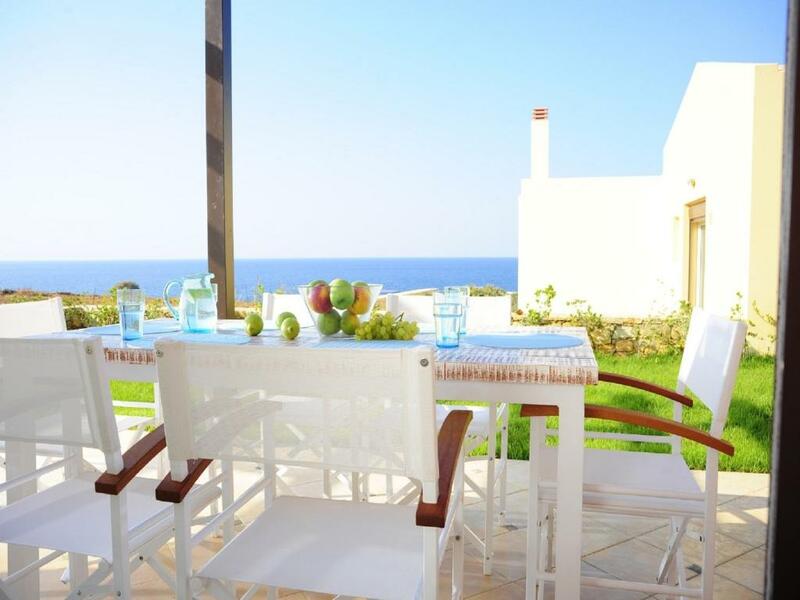 Lock in a great price for Villa Avra – rated 9.8 by recent guests! Featuring a seasonal outdoor swimming pool, barbecue facilities, and a garden, Villa Avra has accommodations in Panormos Rethymno with free WiFi and sea views. The villa features garden views and is 8 miles from Bali. 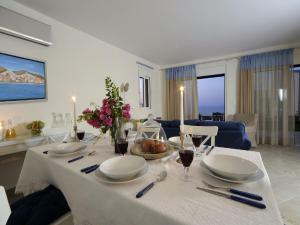 With direct access to a terrace, the air-conditioned villa consists of a fully equipped kitchen and a flat-screen TV. The villa also has a seating area as well as a bathroom with a bath, a shower and a hair dryer. Rethymno is 15 miles from the villa. The nearest airport is Nikos Kazantzakis Airport, 39 miles from Villa Avra. When would you like to stay at Villa Avra? This villa has a balcony, soundproofing and CD player. 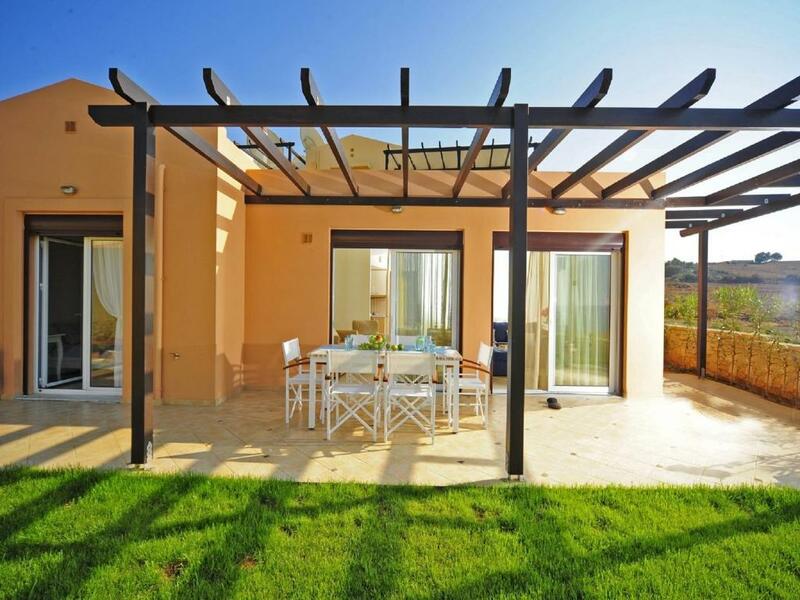 Villa Avra with its location and facilities is the perfect base to sample Cretan hospitality and enjoy a relaxing family holiday. 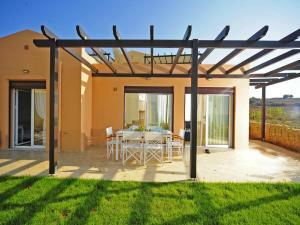 The villa is ideally positioned in the Centre of Crete, so you can easy to explore all Crete. Villa Avra is newly built and is tastefully decorated with all modern amenities including satellite TV and DVD player, Wi-Fi internet, air-conditioning throughout as well as a modern fully equipped kitchen. Guests can also relax in the sun loungers that surround the swimming pool or enjoy a glass of cold orange juice in the al fresco lounge and dining terrace watching the excellent sunshine. It is set in a really peaceful scenery with excellent sea and sunset views, but in the same time in a five min. walking distance from the facilities of the village-super markets, "tavernas", restaurants and cafes- all of them in very reasonable prices... and local food of excellent quality! House Rules Villa Avra takes special requests – add in the next step! Please inform Villa Avra of your expected arrival time in advance. You can use the Special Requests box when booking, or contact the property directly using the contact details in your confirmation. Only critic was there was a barren field next to the villa where sheep were grazing and this left a slight animal smell which was stronger in the evening. However this is out of the control of the villa owner and did not spoil the holiday experience.